The other day I dropped into the quilters to discover a table full of treasures for sale. She is moving house soon so has been having a little clean out. Lucky me snapped up a couple of pretty pieces. 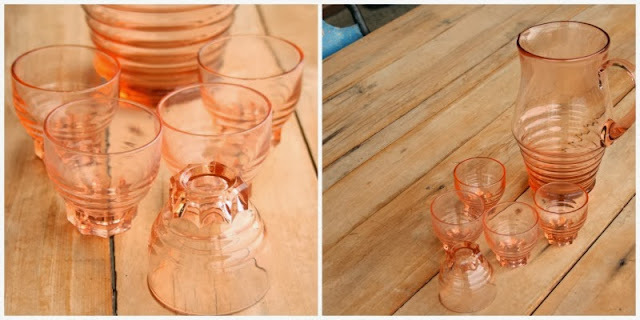 This lovely jug and glasses came home with me for $10.00 There were in fact, 6 glasses but clumsy me broke one when when I was passing them over for wrapping! I know! The children loved them. They make a nice water glass on the dinner table. Great for little hands. I also picked up a sweet bowl, just because. $2 and it will most likely house some jewellery. Linking in with Max and the other show offs. the jug and glasses are really nice Lea, gorgeous colour and shape. I must get looking for some glasses for summer, we have the most motley looking collection of glasses odd and sods! lovely glasses and jug, very sweet. You dropped one! No! They're gorgeous! 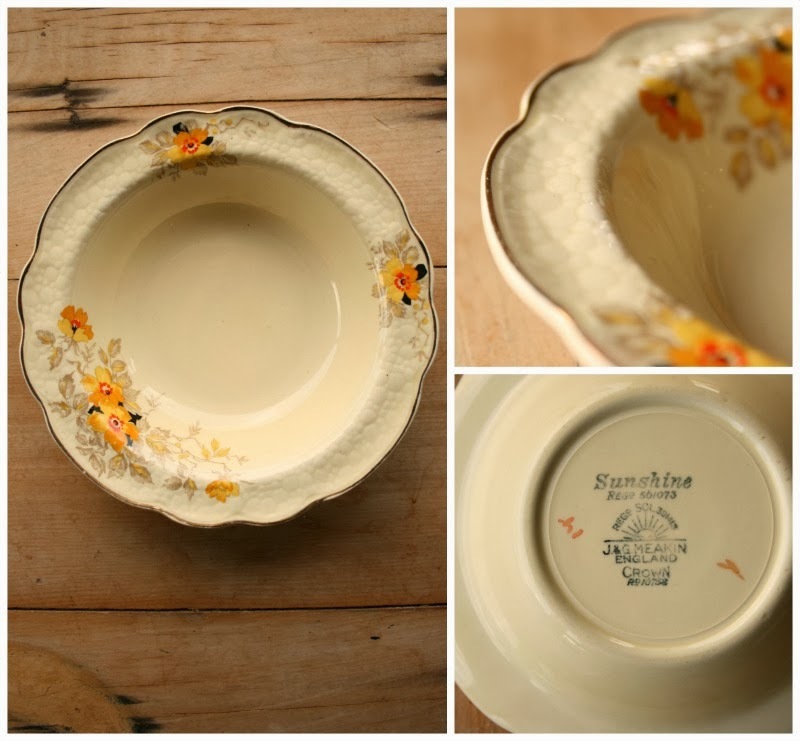 I love the bowl too - I love Meakin, and don't see many bowls. Just in time for BBQ season, great colour too!